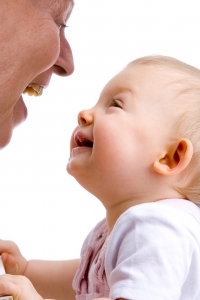 Having a strong emotional bond to a parent or parental figure is important to early childhood development. The quality of this “attachment” — defined by psychologists as “secure” or “insecure” — has a profound effect on a child’s life. Simply stated, a secure attachment is the deep emotional bond an infant or young child forms with a primary caregiver with whom the child feels safe and upon whom the child depends for nurturance, comfort, and protection. An insecure attachment may occur when the primary caregiver fails to consistently meet the child’s physical, emotional, and developmental needs. A child with a secure attachment to a primary caregiver is likely to develop self-confidence, good social skills, and a positive outlook on life. A child who has an insecure attachment is likely to develop low self-esteem, poor social skills, behavior problems, and a negative outlook. Many children in kinship-care situations have serious attachment issues, which often result from the parent’s abandonment, rejection, neglect, or abuse. These traumatic experiences make children feel frightened, lonely, and insecure, if not unsafe. Anxious Attachment: When the primary caregiver is inconsistent, responsive to the child’s needs sometimes and unresponsive other times, the child feels anxious and insecure. Children with anxious-attachment issues are often clingy and overly dependent. They can become hypersensitive and hyper-vigilant to signs of rejection or abandonment. Avoidant Attachment: When the primary caregiver is abusive and/or neglectful, the child may detach psychologically. The goal of children with avoidant-attachment issues is to “need no one,” so they often strive to be excessively independent and self-reliant. They may become so detached that their relationships are superficial and cool, at best. That is why it is so important for grandparents who are raising grandchildren to provide a predictable, consistent, safe, secure, loving, and nurturing home environment. Despite whatever past traumas children may have endured, most can still develop a secure attachment with their grandparent(s) — slowly, as they learn to trust that Nana and Papa will always love, protect, and take care of them. Elaine K. Williams, LMSW, is a counselor focused on kinship care and the author of The Sacred Work of Grandparents Raising Grandchildren. She invites grandparents to share their stories in the kinship-caregiver forum on her website. 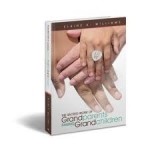 Editors Note: For more stories like A bond is deep check out the grandparents raising grandchildren click this link grandmagazine.com.